HOLLYWOOD – Steve Martin has revealed that he is to play Laurel and Hardy in a new version of Way Out West to be directed by Robert Zemeckis. The beloved comedy duo were a sublime comedy double team so how will Cheaper by the Dozen Martin face the challenge of playing not one part but both? When I was acting in The Jerk I sat down and I wrote a list of comedy heroes, but I wanted to overcome and defeat. To eat up whole if you like. Phil Silvers as Sgt. Bilko, Spencer Tracy in Father of the Bride, Peter Sellers as Inspector Clousseau. I think – without wanting to appear hubristic – that I’ve managed to achieve my ambition. When anyone thinks of those characters, they don’t think of Sellers, or Silvers, or Tracy, they immediately think of Steve Martin. That’s me. Steve Martin. The King of Comedy. Well, it’s obvious isn’t it? After I finish with Laurel and Hardy, first I’m going to make a film called Abbot and Costello Meet Frankenstein and I’ll play Abbot and Costello and Frankenstein. 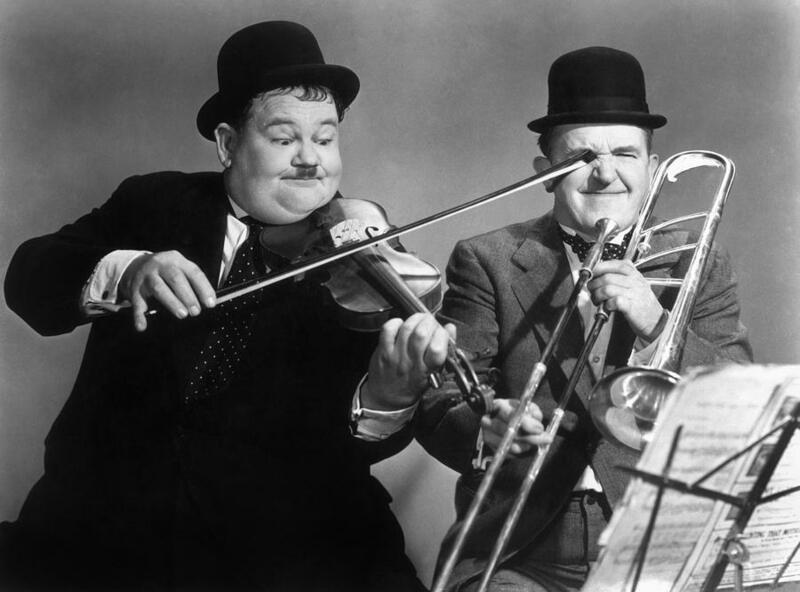 Then it’s on to the Marx Brothers, where I’ll play all four and the harp. ‘Way Out West is due for a Xmas release 2019. Oh the horror!! Oh! The horror! Steve Martin is a talented guy but he apparently has too much freedom and he is making meglomaniac choices in roles. This will be the worst film ever made! I thought Martin as Peter Sellers and Phil Silvers were two of the worst in history! Actually Cheaper by the Dozen and Father of Bride were so good either. I love The Jerk, Man with Two Brains, and Bowfinger, but don’t RUIN Laurel & Hardy!